Benchmarking is a crucial aspect of business – how else would you form an idea of how you compare to the rest of the players in your particular industry? With this in mind, a few industry leaders were asked to compare the local animal feed industry to the rest of the world. The South African feed industry has been challenged the past year by a multitude of factors. The increase in soy oilcake prices caused an increase in feed prices, resulting in escalated production costs in the poultry industry in particular. “The import of ‘cheap’ poultry meat from countries such as Brazil meant producers could not increase meat prices to offset the increased feed prices and as a result, many poultry operations suffered greatly. Much of this can be prevented, should the government strive to protect the local poultry industry against imported meat produced more cost-effectively in countries abroad where producers are receiving government grants. On a positive note, it has to be mentioned that the South African feed industry is on par with other feed manufacturers and producers in the international arena. All South African feed manufacturers are governed by strict legislation such as the Fertilisers, Farm Feeds, Agricultural Remedies and Stock Remedies Act, and adhere to these regulations by constantly scrutinising and analysing feed before it enters the food chain. An example is the regulations on undesirable levels as stipulated by the Feeds Act, of which all feed manufacturers are aware of, as these substances could affect the entire feed and food chain. South African feed manufacturers, as members of the Animal Feed Manufacturers Association (AFMA), are also governed by the AFMA Code of Conduct, which ensures that all members adhere to the strictest regulations and implement the necessary control measures to ensure safe feed for safe food are produced at all times. The South African feed industry is proud to have a number of world-class nutritionists who have years of experience in the industry whilst keeping abreast of international developments in the science of animal nutrition. Poultry, pork, meat and dairy producers in this country are skilled and well informed about the nutritional requirements of their animals, making use of state-of-the-art modern equipment and applying the necessary financial principles to ensure that their operations are profitable. These producers insist on only the best animal feed, advice and support to feed the nation. However, it is unfortunate that we have so many eager, knowledgeable producers and feed manufacturers, but have to rely on information and knowledge generated abroad. A limited amount of research is performed within our borders and in order for this industry to stay current, adaptable and progressive, we need to focus on and invest in local research to ensure we evaluate and develop our feed products, farming practices under local conditions. It is essential to invest in local research to allow our feed industry to keep up with the ever growing demand for food in South Africa. The continued pressure driving down margins for livestock producers has predominantly been due to the import of foreign produce, relatively high raw material costs, significant increases in electricity costs and the recent lift in the minimum wage within the agricultural sector. The result of this is that many of the smaller business operations no longer have a viable business model, and have been forced to leave the market. This is particularly apparent in the dairy sector, where over the last 20 years the number of commercial producers has decreased drastically, but total cow numbers have increased. Thus the sector is dominated by fewer producers over time. 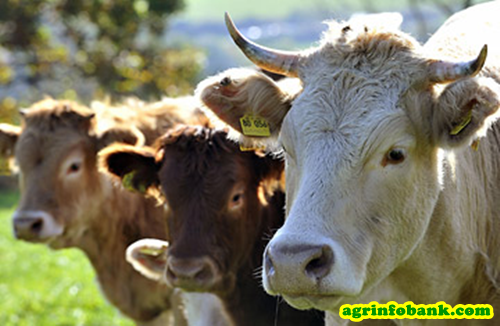 The other livestock production enterprises show similar trends, and this will significantly impact the feed industry and its interaction with the market in the future. Another main challenge facing the future of the industry, is the distribution of agricultural land. Some of the most productive agricultural land in South Africa is state-owned and has been redistributed to rural farmers. However, the challenge is that these farmers do not own this land to use as collateral for bank loans and are therefore not able to use it to its full potential. “The South African feed industry is under pressure, as the competitive intensity has increased in direct relation to growing overcapacity in the industry. In addition, demand for our customers’ animal protein products, across all species sectors, has softened considerably as economic pressure comes to bear on the South African consumer. This pressure has been amplified by rising input costs which reached record level last year, and after a temporary reprieve in the first quarter, 2013 resumed the upward trend. Despite this, astute feed businesses have increased efficiencies and controlled costs to ensure that they remain positioned to service the food sector of the future, which undoubtedly faces rising demand in the longer term as the world charges toward a population of nine billion people. A growing middle-class is furthermore developing an appetite for value-added foods, including all forms of meat. The production resources for feeding this world are concentrated, amongst very few other countries, in Africa. This is a good place to be for feed manufacturers who can deliver consistent traceable quality to a more quality-conscious market that is fed up with poor or adulterated foods. And increasingly protected by legislation such as our own Consumer Protection Act. South African feed manufacturers compare favourably with their counterparts elsewhere in the world. Most major manufacturers in the country have some kind of relationship with international leaders, giving them a direct link to the latest technology. In many cases our technology and manufacturing capability is in line with world standards. At the same time, however, there are some factories that are aged and, although they are maintained and operated well, they simply are not capable of adapting to the latest standards all the time. On the other hand, we are building new facilities in the country, such as Meadow Feeds’ new Standerton Mill, which is based on the latest and best technologies. The bottom line is that we know how to make feeds that perform consistently. Our broiler performance, for example, is in line with the rest of the world. Looking at the technical advisory services we offer here, I believe that our technical advisors, on the whole, are right up there with the best. On the same basis that we are linked to international companies to guide us in terms of technology, our technical staff is also being exposed to international expertise and developments. “South Africa has a developed first-world and professional animal husbandry industry with farmers being able to compete with the best in the world. This is largely supported and facilitated by an animal feed industry that is able to supply nutrition to livestock to produce animal proteins at a competitive price and to achieve the genetic potential of animals under the unique circumstances of a very diverse South Africa. The animal feed industry operates within a South African environment with unique challenges. Our industry still under operation in an outdated feed law which is not only with regards to the latest nutritional developments of the world, but also does not facilitate development and quick product implementations required to fulfil the demands of animal producers. So in essence we are moving too slow to be able to keep up with global and local needs and developments. The South African feed industry is furthermore situated in an environment that is not equal to our counterparts in the global village. Import and export legislation relating to feed industry raw materials and animal products, is not facilitating a level playing field. This hampers the industry’s growth potential, the nation’s food security and the capacity of the industry to create jobs. Reprinted with permission from the April 2013 issue of AFMA Matrix, which is published by Plaas Publishing.